Dr George Yijun Tian is a Senior Lecturer at the Faculty of Law, the University of Technology Sydney (UTS), Australia. He joined UTS in January 2008. George is specialized in Intellectual Property (IP), Privacy, and Electronic Commerce Law, with a particular focus on regulatory governance issues arising from cross-border transactions. George has published extensively in cyber law and intellectual property, cross-border commercial transactions, competition law, and international trade law in Australia, China, United Kingdom, and United States. He is the author of the book Re-thinking Intellectual Property: The Political Economy of Copyright Protection in the Digital Era (Routledge, United Kingdom), and a co-author of the Cultivating Growth - 2nd Asia Pacific Alternative Finance Industry Report [Chinese edition] produced by Cambridge Centre for Alternative Finance at the University of Cambridge. He previously served as a Consultant of the Trade and Investment Division of the United Nations Economic and Social Commission for Asia and the Pacific (UNESCAP)(2005) and the Economic and Social Analysis Unit of the International Labour Organization (ILO) ROAP (2006), a Project Coordinator of the Commercial Litigation Department of Clayton Utz (2007). Prior to taking up the full-time position at UTS, he taught postgraduate courses in intellectual property at UTS, and undergraduate courses in corporate law at the University of New South Wales (UNSW). George has been a Visiting Scholar of Berkman Centre for the Internet and Society at the Harvard Law School (HLS) (Summer 2005) and a Visiting Research Fellow of the Oxford IP Research Center, Faculty of Law, University of Oxford (Michaelmas 2011). He is also a current Australian Trade Marks Attorney (since 2009) and UDRP Panellist (Domain Name Arbitrator) appointed by World Intellectual Property Organization (WIPO)(since 2010). He is also a current Research Associate of the Cyberspace Law and Policy Centre at the UNSW Law School (since 2003), a Research Fellow of the IP Studies Centre at the China University of Political Science and Law (since 2004), an international adviser for Asia-Pacific Privacy Project at the University of Hong Kong Law School (since 2013), and a HDR Supervisor Affiliate (external PhD supervisor) with the University of Sydney (since 2017). UDRP Panellist (Domain Name Arbitrator), World Intellectual Property Organization (since 2010). This book examines the problems in the current Intellectual Property Rights regime, in the context of digitization, knowledge economy, and globalization. The volume also provides specific theoretical, policy and legislative suggestions for changes which would contribute to the establishment of an international knowledge equilibrium society. Cloud computing has significantly changed the way in which information is collected, stored, handled and distributed by individuals, businesses and government agencies. Like many other technology developments, Cloud computing brings us both oppor-tunities and risks. Cloud computing poses significant and difficult questions in tax laws, particularly in the cross-border tax area. As an increasing number of businesses move to cloud computing solu-tions, items we view as tangible products are transformed into in-tangible or digital products. This arguably brings significant chal-lenges to the traditional tax system, which was established on the basis of physical transactions and trade. In international tax, Transfer Pricing is certainly 'one of the most important issues. '1 An increasing number of multinational enterprises, particularly the U.S. I.T. Giants, artificially shift profits from high-tax to low-tax countries by a variety of techniques. A study conducted by the U.S. Congressional Research Service in 2015 indicates a significant in-crease in corporate profit shifting over the past several years, and estimates losses from income shifting by multinational corporations are estimated at nearly $100 billion USD per year. This article ex-amines whether and how traditional tax rules on Transfer Pricing, which have their foundations in physical transactions and trade, can apply in the current virtual, digital world of cloud computing. It aims to identify the difficulties current approaches face as they are applied to this developing technology, and attempts to explore some practical solutions for future Transfer Pricing law reforms at both the international and national level by drawing on insights from the Transfer Pricing rules of the OECD and Australia. Greenleaf, G. & Tian, Y. 2013, 'China Expands Data Protection through New 2013 Guidelines', Privacy Law & Business International Report, vol. April, no. 122, pp. 1-7. Tian, Y & Greenleaf, G 2013, 'Data protection widened by China's consumer law changes', The Privacy Laws & Business (PL&B) International Report, no. 126, pp. 27-28. Tian, Y. 2010, 'The Impacts of the Chinese Anti-Monopoly Law on IP Commercialization in China & General Strategies for Technology-Driven Companies and Future Regulators', Duke Law and Technology Review, vol. 004, pp. 1-23. This paper will focus on the recent development of the Chinese IP abuse legislation and its potential impact on IP protection and the operation of technology-driven foreign enterprises in China. Firstly, it will provide a brief overview of the TRIPS's requirements on IPR abuse and technology transfer, and the recent development of IP abuse laws at the domestic level, particularly in the US and the EC. Secondly, by drawing a comparison with similar laws in the US and the EC, this paper will critically examine the recent development of the Chinese laws regarding technology transfer and IP abuse prevention, including both the recently enacted Anti-Monopoly Law 2008 (AML) and other prior-AML regulations. Thirdly, the paper will examine both opportunities and potential risks these laws may bring to foreign IP holders/technology-driven companies when operating in China, particularly focusing on the impact of the IP-related provision in the AML. Recent development in antitrust litigation in which Microsoft is a party, including the recent anti-monopoly investigation against Microsoft in China, will also be examined. Lastly, it will provide some practical suggestions for foreign IP holders and technology-driven companies to operate in China, such as useful defences against potential IP abuse claims, and other strategies for flexibly applying the IP abuse rules and better participating in future IP abuse legislative process in China. With the development of the globalization and international trade, the international registration of Trade Marks (TMs) becomes increasingly important for a country to accumulate business fortune and maintain sustainable economic growth. Against this backdrop, the 'tendency towards integration and internationalization ofTM law is consequential'. Tian, Y 2015, 'Cloud Computing and Copyright' in Cheung, ASY & Weber, RH (eds), Privacy and Legal Issues in Cloud Computing, Edward Elgar Publishing, Cheltenham, pp. 160-179. Tian, Y. 2012, 'Consumer Protection and IP Abuse Prevention under the WTO Framework' in Malcolm, J. (ed), Consumers in the Information Society: Access, Fairness and Representation, Consumers International, Kuala Lumpur, Malaysia, pp. 11-52. 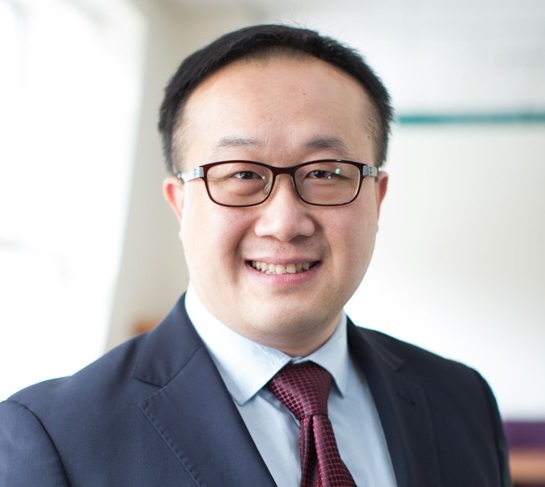 Dr George Yijun Tian investigates how the consumer movement can tackle intellectual property abuse, within the framework of the WTO TRIPS Agreement. Whilst the TRIPS Agreement is perhaps best known among A2K activists for imposing inflexible IP obligations upon WTO members, in fact it also contains a number of concessions to the public interest. One of these is that it allows member countries to pass laws that restrict the abuse of intellectual property rights (IPRs). Until now this provision has mostly been used as the basis for laws to prevent the anticompetitive use of IPRs. However, Dr Tian notes that its use is potentially much broader, also allowing countries to pass laws that inhibit the use of IPRs to infringe consumer rights. He provides examples of this from the consumer laws of Australia and Brazil, and closes with recommendations for other countries, particularly developing countries, to be more flexible in how they act against IP abuse. Tian, G 2012, 'IP Protection vs IP Abuses: The Recent Development of Chinese IP Abuse Rules & Recommendations for Foreign Technology-driven Companies (Invited re-publication)' in Kierkegaard, S & Grosheide, W (eds), Copyright Law in the Making - Chinese and European Perspectives, International Association of IT Lawyers, Denmark, pp. 143-168. Tian, Y 2018, 'Blockchain and IP-related Transfer Pricing Arrangement', Law Tech Talks, Law and Technology Centre of the University of Hong Kong Law School. Tian, Y 2018, 'Cloud Computing and Cross-Border Transfer Pricing: Smart Contract as a Supplementary Solution', Conference on Legal Problems with the Application of Smart Contracts and the Way Forward, City University of Hong Kong Law School, Hong Kong. Tian, Y 2018, 'IP-related Transfer Pricing and Blockchain - Compliance of Transfer Pricing Rules & Blockchain as a Supplementary Solution', 2018 International Colloquium on IP Law and Cyberspace Law, Intellectual Property Law Research Institute, China University of Political Science and Law, Beijing China. Tian, Y 2017, 'Blockchain and Enforcement of Transfer Pricing Regulation', Roundtable Conference on Markets, Misconduct and the Technological Age, University of Sydney Business School. Tian, Y 2017, 'Current Issues of Cross-border Personal Data Protection in the Context of Cloud Computing and Trans-Pacific Partnership (TPP) Agreement', Nankai Symposium on the Evolving Landscape of International Intellectual Property, Nankai University, Tianjin China. Tian, Y 2017, 'The Launch of Hangzhou Internet Court & Its Implications --- China's first court specializing in handling Internet-related cases', Australia-China Symposium - Digital Technology, Judicial Communication and Access to Justice: Challenges and Opportunities, Faculty of Law, University of Technology Sydney. Tian, Y 2016, 'Copyright and cloud computing', Training Program for Shanghai publishing executives delegation,, University of Technology Sydney. Tian, Y 2016, 'Copyright protection in the context of cloud computing and the free-trade agreement', SAPPRFT Chinese Media Delegation, University of Technology Sydney. TIan, Y 2015, 'Intellectual Property in China: Past, Present and Future', the Law and Investment in Asia Course, Faculty of Law, University of Sydney,, Sydney. Tian, Y 2014, 'Cloud Computing and Copyright', Fifth Asia-Pacific Innovation Conference, Sydney. Tian, Y 2014, 'Cloud Computing and Personal Data Protection Law in China', 2014 Annual Workshop on Chinese Law, Annual Workshop on Chinese Law, China Studies Centre and Faculty of Law, The University of Sydney, Sydney, Australia. Tian, Y 2014, 'Recent Development of Cloud Computing and Content Regulation', Trans-Pacific Intellectual Property Roundtable (invited only), University of New South Wales. Tian, Y 2013, 'Cloud Computing and the Protection of Personal Information – China as a Case Study', The Conference: Up in the Cloud: Legal and Privacy Challenges in Cloud, the Law and Technology Centre of the Faculty of Law, The University of Hong Kong, and sponsored by Microsoft (Invited Only)..
Tian, Y 2013, 'Personal Information Protection in China - Recent Development of the Chinese Civil and Criminal Cases', the 3rd Asian Privacy Scholars Network Conference, (invitation-only Feature Panel on Greater China), 3rd Asian Privacy Scholars Network Conference, Law and Technology Centre of the Faculty of Law, the University of Hong Kong. Tian, Y 2012, 'Invited Commentator for 'International IP Dynamic Session' Recent & Providing a Short Talk on Development of ACTA, PPT and RTA', Annual Conference of National IP Scholars, co-hosted by Renmin University Law School, SIPO, National Copyright Office, State Council Law Division, Suzhou China. Tian, Y 2012, 'IP Abuse Prevention and Competition Laws: A Comparative Study', Center for Financial Regulation and Economic Development Seminar, Faculty of Law, Chinese University of Hong Kong. Tian, Y. 2012, 'Consumer Protection and IP Abuse Prevention under the WTO Framework', Consumers International, Kuala Lumpur, Malaysia, pp. 11-52. Tian, Y. 2012, 'Fair Competition and Preferential Taxation Policy for Small and Medium Retail Stores: A Comparative Study', The International Conference of Chinese Tax and Policy, Guangzhou, China. Tian, Y. 2012, 'IP Abuse Prevention and Competition Laws: A Comparative Study', A CFRED Research Seminar, Faculty of Law, CUHK, Center for Financial Regulation and Economic Development, Faculty of Law, Chinese University of Hong. `, presented to 29 November 2012. Tian, Y. 2011, 'Enhancing Innovation & Protecting Security Interests in IP: Risks and Opportunities of the New Personal Property Securities (PPS) Regime on IP-Related Businesses', 3rd annual Conference on Innovation and Communications Law, Business School, University of Melbourne. The development of new technologies and the widespread of Internet communication networkshave both rendered possible the rise of businesses that own very few tangible assets and owetheir success almost exclusively to their Intellectual Property (IP)â. Under the currentinnovation-oriented global economy environment, the ability to use IPRs as the object of securityinterests is gradually being recognised as an increasingly attractive prospect.This paper will examine the law and the legal issues relating to the interaction between IP andsecurity interest law in Australia. It will particularly examine the new Personal PropertySecurities ("PPS") regime commencing in May 2011 and its likely impacts on nationalinnovation capability and on business operations of inventors, bankers, investors and other IPrelated companies. Tian, Y. 2011, 'IP Abuse Prevention and Competition Laws: A Comparative Study of Australia, China and Japan', Intellectual Property Discussion Group, Faculty of Law, Oxford University. Tian, Y. 2011, 'IP-related Antitrust Law & National Innovation Policy: A Comparative Study of Japan, Australia and China', the Second Asia-Pacific Innovation Conference, Singapore National University, Singapore. Tian, Y. 2010, 'Financial Downturn vs Innovation Capability: The Role of Intellectual Property and Competition Laws in the Australian National Innovation Policies', The IPRIA Pacific Rim Innovation Conference 2010, University of Melbourne Law School. Tian, Y. 2010, 'Recent Development of the Chinese Anti-Monopoly Law', Australia China Business Council Lunch Research Seminar Program, Australia China Business Council, Hunt & Hunt, Sydney. Tian, Y. 2010, 'The Impacts of the Bilateral/Regional FreeTrade Agreements on the Recent Development of IP and Digital Legislation', 31st International Trade Law Symposium, Old Parliament House, Canberra. Tian, Y. 2009, 'China's IP Abuse Rule: Another approach to protecting the public domain', Unlocking IP Conference: National and Global Dimensions of the Public Domain, University of New South Wales, Faculty of Law, Sydney Australia. This paper will focus on the recent development of the Chinese IP abuse legislation and its potential impact on IP protection and technology transfer in China. Firstly, a brief overview of the TRIPS requirement concerning IPR abuse and technology transfer, and the recent development of IP abuse laws at domestic levels, particularly in the US and the EC, will be given. The paper will then examine the recent development of the Chinese laws regarding technology transfer and IP abuse prevention, including both the recently enacted Anti-Monopoly Law 2008 (AML) and other regulations. Specifically, the ways in which IP-related provisions in the Chinese Anti-monopoly law 2008 balance the interests of different stakeholders, and facilitate technology transfer from developed nations to developing nations, will be discussed. Recent antitrust lawsuits, including the antimonopoly investigation against Microsoft in China, will also been examined. Finally, this paper will argue that rules preventing IP abuse and antitrust laws may serve as a supplement to current public rights measures (such as fair use and fair dealing doctrine and the open source movement), to enhance the public domain, consumer interests and fair competition. Tian, Y. 2009, 'Intellectual Property and Antitrust Risks of Foreign Investors in the Process of Direct Investment or Acquisition in Australia', presented to the Foreign Direct Investment Delegation from the State-owned Assets Supervision and Administration Commission (SASAC) of the State Council, P.R. China, (invited by Australian Technical Experts Network (ATEN)),, University of Sydney. Tian, Y. 2009, 'Recent Development of Chinese IP Abuse Rules & Recommendations for Foreign Technology-driven Companies', IP Academics Conference: Forty Years of Intellectual Property as an Academic Discipline â Taking Stock and Looking Forward, Melbourne Law School, Australia. Tian, Y. 2009, 'The Impacts of the Chinese Anti-Monopoly Law on IP Commercialization in China and General Strategies for Foreign Investors and Future Regulators', Intellectual Property Scholars Roundtable, Drake University Law School, Iowa USA. Tian, Y. 2009, 'Towards More Balanced IP Protection: Chinese Anit-Monopoly Law and its Impacts on Innovation Stimulation and IP Abuse Prevention in China', The 5th International Conference on Intellectual Property Protection of HIgh Technology, Tsinghua University, Beijing, China. Tian, Y. & Zengpei, X. 2006, 'Implication of TRIPs & Future Strategies for Consideration', WIPO/ESCAP Colloquium on Intellectual Property, Bangkok, Thailand. Tian, Y & et al 2017, Cultivating Growth - 2nd Asia Pacific Alternative Finance Industry Report [Chinese Edition], Cambridge Centre for Alternative Finance at the University of Cambridge. Tian, Y 2017, 'Transfer Pricing and Blockchain'.